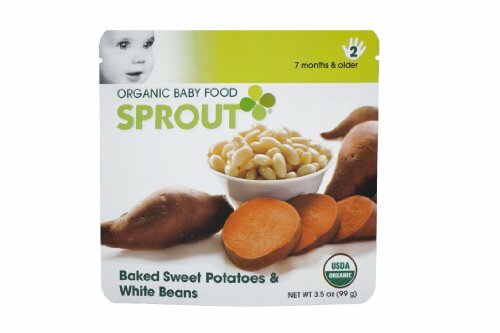 Starting with gourmet recipes and great organic ingredients, Sprout Baby Food is unique, using traditional cooking methods like roasting and baking to bring out the natural flavors of the food. Because of our packaging, our cooking process is substantially shorter than glass, helping preserve more flavor, color, and nutrients. We never add any fillers, sugar, preservatives, artificial colors or flavors. Sprout was Co-Founded by Tyler Florence, celebrity chef and author of 5 cookbooks. Your child’s relationship with food begins now, so give your baby fresh-tasting delicious food for a lifetime love of healthy fruits and vegetables.